A new session has been completed and can be accessed on e-ELCA: 5.24 – Culturally sensitive palliative and end of life care for lesbian, gay, bisexual and transgender (LGBT) people. Many thanks to Claude Chidiac for writing this session. Work has continued on a new session on the AMBER care bundle. Further new sessions are currently in the very early stages of development. 20 – Care after death II – providing personal care after death. Alongside this, multiple session updates are currently in progress. Session updates will continue on a regular basis, and many thanks to those who have contributed to this process. If anyone would like to get involved in this then please contact us. Learning paths are a useful way of identifying e-ELCA sessions that could be useful for your own learning, as well as for the education of others. 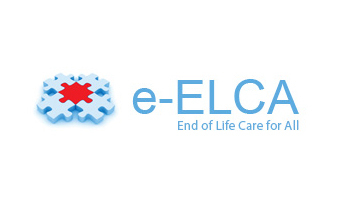 Recently, learning paths for specialists in palliative care and those working in nursing homes (both nurses and carers) have been uploaded to the e-ELCA resource. A learning path for medical students has been developed following discussion at the APM undergraduate education special interest forum and mapping to the APM medical student curriculum. This will be uploaded to the e-ELCA programme soon, please watch out for tweets about this. This learning path comprises core, additional and case study sessions and is relevant for all medical students on clinical placements. We have had a poster accepted at The Association for Palliative Medicine of Great Britain and Ireland (APM) Supportive and Palliative Care Conference that is taking place in Harrogate in March, where we will also be on the APM stand. Please come and find us! Follow us on Twitter @cmf_elca to be kept up to date on new sessions, session updates and other important updates.